Fernet-Branca’s history is profoundly Italian and began in 1845 thanks to Bernardino Branca: its unique and still secret recipe, using ingredients from all over the globe, has made Fernet-Branca the world’s most popular Italian liqueur. 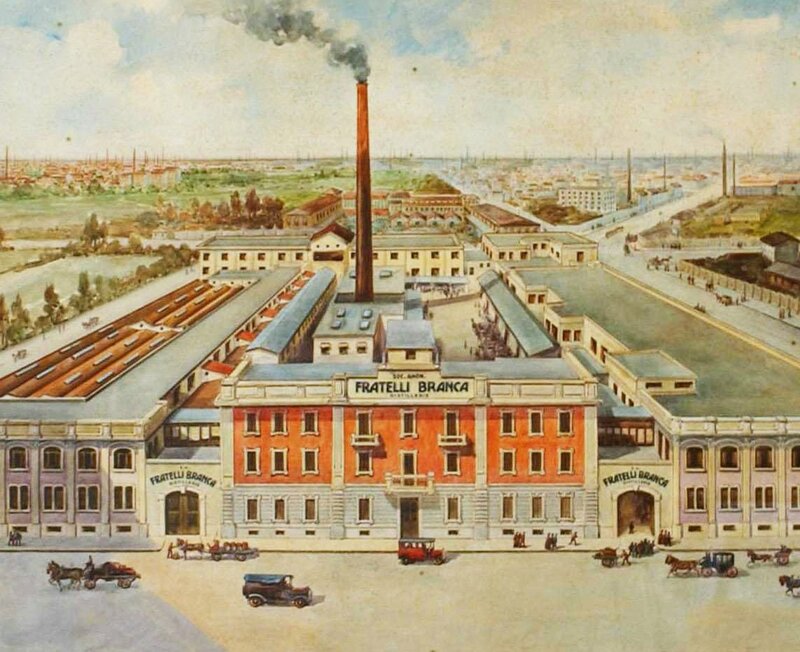 With the invention of its amaro, the company Fratelli Branca Distillerie was founded and a short while later the first production factory was built in Corso di Porta Nuova in Milan, which employed more than 300 workers. The story surrounding Branca is about people as well as Italy and has earned its place in folklore thanks also to the aura of mystery that has always surrounded the product: the enigma concerning its formula, that is still hidden away in a safe that can only be accessed by the company’s chairman, and which continues to be bequeathed from father to son. 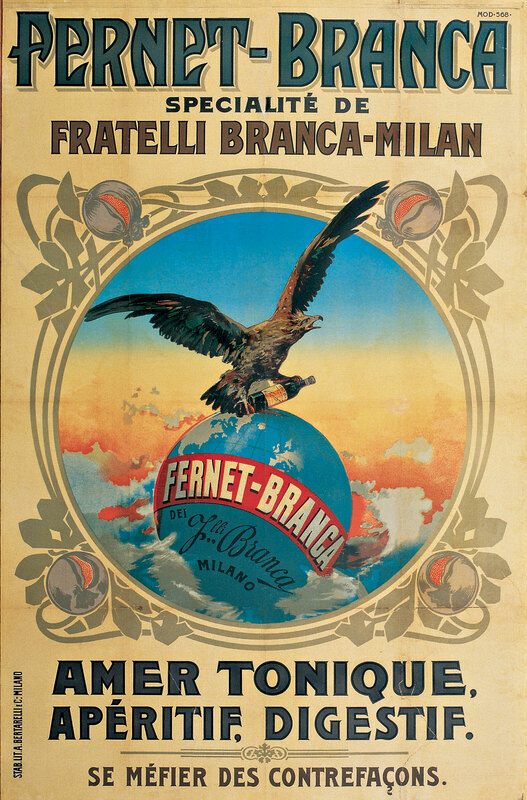 Fernet-Branca’s first advertisement appeared in the daily newspaper “La Perseveranza” in 1865. In this first 10×10 cm print, Fernet-Branca is referred to simply as Fernet and is described as having a range of beneficial properties that can even relieve the ailments of people suffering from fevers and states of anxiety. A Fernet-Branca ad also appeared in the first ever edition of what became Italy’s main national newspaper, Il Corriere della Sera, on 5 March 1876. 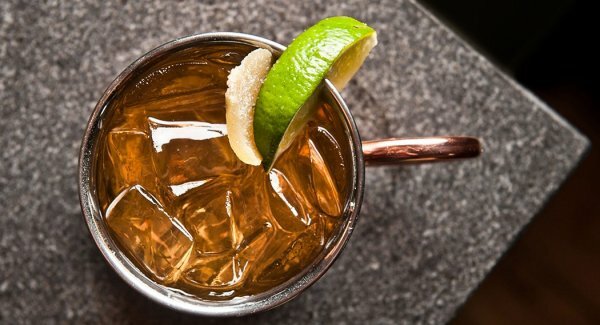 Fernet-Branca was immediately the subject of feedback from doctors, head physicians and directors of care homes whose praise played a key role in driving the increasingly vast popular acclaim of the new Fernet-Branca recipe. 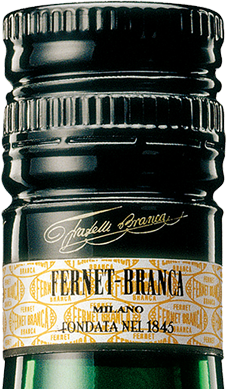 Fernet-Branca enjoyed – and continues to enjoy – accolade throughout the world. In 1907 Dino Branca took the helm of the company Fratelli Branca Distillerie: in keeping with with its motto “Novare Serbando”, Fratelli Branca set off to conquer European and American markets, proudly asserting its international vocation. New factories were opened in Buenos Aires, Saint Louis and even Switzerland, in the town of Chiasso. Dino Branca also opened a new branch in New York. In that same period the Milan factory was moved to what is still its headquarters in via Resegone. Milan, as well as Buenos Aires, New York and San Francisco. 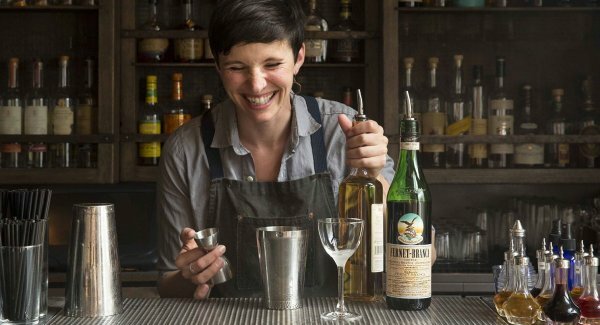 Over time Fernet-Branca has established itself as a project that integrated its Italian roots with new connections to geographically distant worlds. But Milan remains the linchpin and natural heartland of the Branca universe. In 2009 the Branca Collection Museum was unveiled within the Fratelli Branca Distillerie industrial complex. It serves a dual role as business museum and space for recounting to new generations the history of Branca’s innovative communication, the company’s production processes as well as its values of quality, ethics, naturalness and eco-sustainability that are part of the roots and history of Fratelli Branca Distillerie. Littoria Tower – that has been renamed Branca Tower – that was designed by architect Giò Ponti and built in 1933. By refurbishing and and giving back this architectural and artistic asset to the city, Branca’s aim was that of reawakening Milan’s pride and take a leading role in the development of a creative hub and benchmark for new forward-looking ideas, by starting with an emblematic monument. Branca is no stranger to redevelopment projects: in the summer of 2003, in St. Louis, work commenced for the transformation of the city’s former Distilleria Branca into a museum. The reconversion project was overseen by architect Jean-Michel Wilmotte, who designed the floors of the exhibition space in two phases. The building was to house a public benefit purpose foundation and cultural centre, the Association for the Fernet-Branca Museum of Contemporary Art in St. Louis. 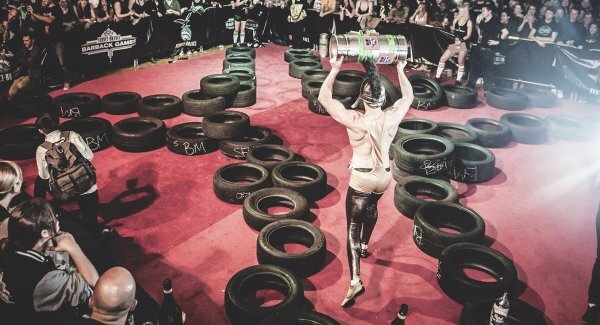 This was replaced in 2011 by the Fernet-Branca Foundation. Jean-Pierre Sugie has been the museum director since 2013.